Cuts through grease and baked on food. 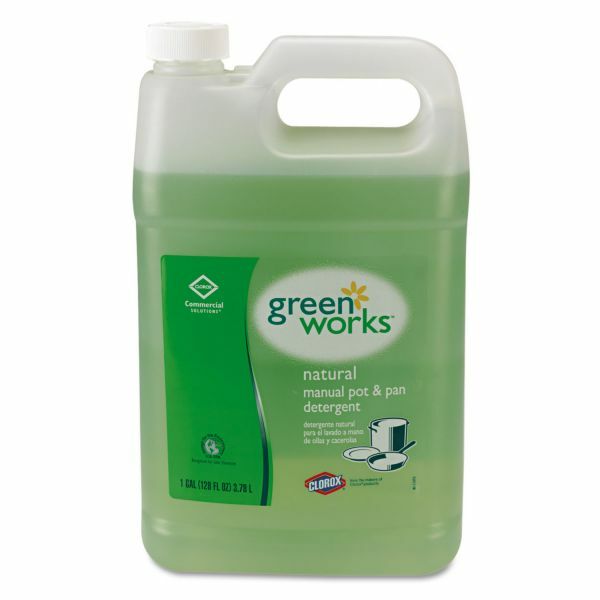 Green Works Manual Pot & Pan Dish Liquid, Original, 1gal Bottle - Green Works® Manual Pot & Pan Dishwashing Liquid combines powerful cleaning performance with 98% naturally derived and plant-based ingredients to fight tough greasy messes and yet be gentle on your hands. 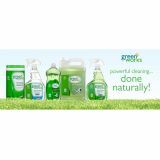 The powerful cleaning formula cuts through tough greasy baked-on food, leaving nothing but a natural, streak-free shine. Greasy messes and splatters easily rinse away without any harsh chemical residue on dishes, pots or pans. It’s versatile enough for all your manual-ware washing needs including pots, pans, dishes, glassware and flatware, and as a general cleaner and degreaser. From Clorox Commercial Solutions®, this dishwashing liquid is ideal for use in commercial kitchens, office break rooms, school cafeterias and other foodservice facilities. 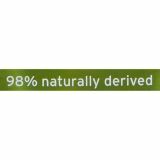 It’s recognized by the U.S. EPA's Safer Choice program for safer chemistry and it’s dermatologist-tested. 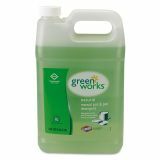 With Green Works naturally derived cleaning products, you get powerful cleaning done naturally. Dermatologist tested, gentle on hands.